Westmount cantor Gideon Zelermyer and his choir appear on Leonard Cohen's new album, You Want It Darker. Gideon Zelermyer has never met Leonard Cohen but they have been "musically intimate." This is how Zelermyer, a Montreal cantor, describes their collaboration on Cohen's upcoming new album, You Want It Darker. 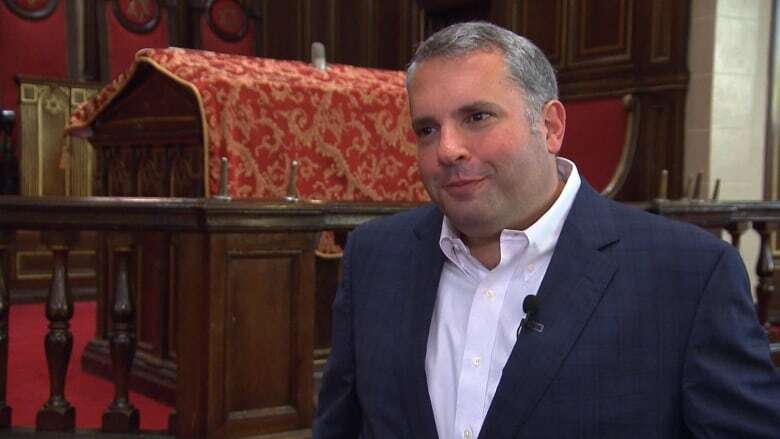 The tenor leader of a congregation that generations of the Cohen family have attended, Zelermyer's work was introduced to the Canadian icon by Cohen's aunt. Since then, the two have maintained a correspondence for nine years. Last November, Zelermyer received an unexpected request from Cohen. "The email read, would you be interested in collaborating with me on my new album, I'm looking for the sound of the cantor and synagogue choir of my youth," Zelermyer recalls. "I shouted things no cantor should should then responded with two things: hallelujah and I'm your man." The results can be heard on lead single "You Want It Darker," as well as a second track that is yet to be released. On the title track, Zelermyer can be heard chanting the Hebrew word, "Hineni," which translates to "Here I am." It is also part of the song's chorus. "I think it's quite remarkable for somebody to use a Hebrew word as a chorus to their first song for their new album," Zelermyer notes. So, when the two long-distance acquaintances finally meet later this year at the album's launch party, what will Zelermyer say to Cohen? "Here I am!"